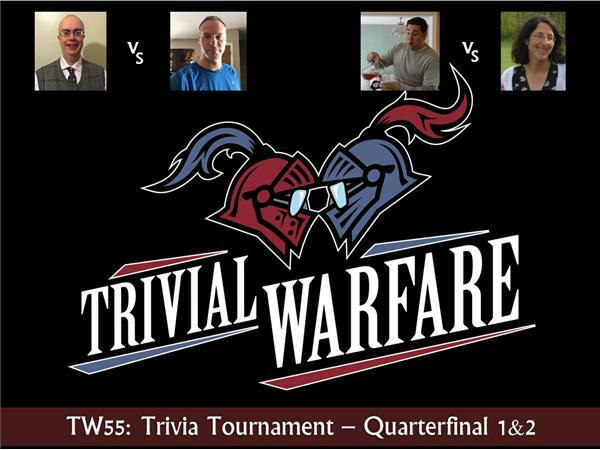 If you liked this show, you should follow Trivial Warfare. This week's show is the first of our quarterfinal matchups. We've got 3 episodes left before the finals of our tournament. Today's show features our very own Chris Hollister facing off against Kris Eve to see who is the best Chris/Kris! The second matchup on this week's episode features Jeff Revilla vs. Amy Ningen. Don't miss it, those two were extremely entertaining. Find out who survives and advances to the semifinals with wins this week!